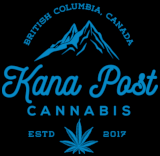 The Essential Flowers Starter Pack by Green Society presents those who may have trouble choosing with a wonderful sampler pack to help you pick your new favourite strain without feeling guilt or breaking the bank. This package contains a half ounce of AAA-grade flowers and other accessories to get you started! Contents: Granddaddy Blueberry (Indica) - Reg. Price .00 Grapefruit (Hybrid) - Reg. Price of .00 Purple God x Green Crack (Hybrid) - Reg. Price of .00 Romulan (Indica) - Reg. Price of .00 1x Juicy Hemp Wraps (Assorted Flavour) - Reg. Price of .75 Green Society Medtainer - Reg. 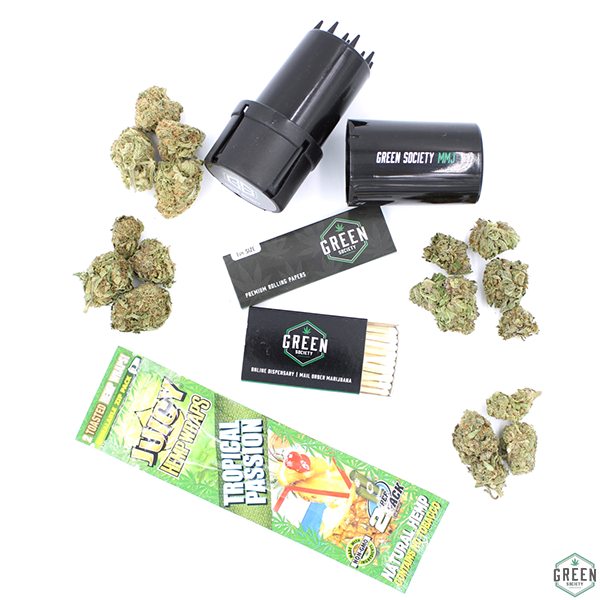 Price of .00 Green Society Essential Rollies Matches - Reg. Price of .50 On sale from .25for .00while quantities last!